INSPIRING BAY: Are you ‘Mad’? Yes, I will love to be! | Precious Thoughts! INSPIRING BAY: Are you ‘Mad’? Yes, I will love to be! Aaaaaah! Eh! Mad? I’m sure that was your reaction as you read the title. That’s quite understandable but I have no doubt you will come to terms with me after going through this post. 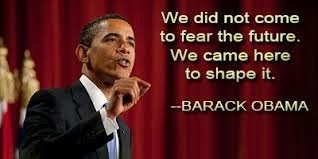 You see, When Mr. Hussein Barrack Obama told his friends he wanted to change his office to the Presidential White House in Washington D.C, they all laughed at him and some asked him: “Are you mad?” Of course he was “mad” and that’s why he is the most powerful man in the world today! 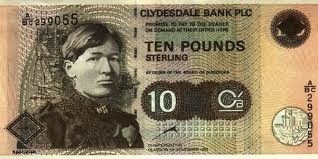 When Mary Slessor, that little innocent 18 year old Scottish girl, told her mum that she was going to Africa to stop the slaughter of twins and eating of humans, her mother screamed aloud: “Are you mad?” Yes indeed, she was “mad” and that is why she is today on the currency notes in Scotland! 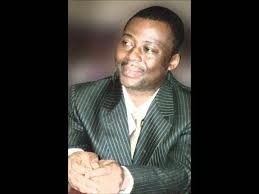 When Dr. Daniel Kolawole Olukoya dropped his PhD in Molecular Genetics from University of Reading, United Kingdom (Researcher of over seventy publications to his credit) to obey the Lord, his friends queried him: “Are you mad?” But today, the whole world is dumbfounded with what God is doing through their unqualified “mad” friend! 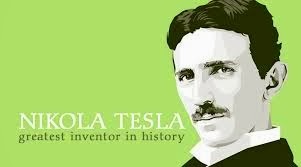 When Nikola Tesla, the Serbian American inventor and Electrical Engineer said he could transmit sound and signals to people from one city to another city without the use of telephone cables, his friends in amazement bombarded him with the question: “Are you mad?” But today, he is the inventor of the wireless technology and high frequency alternators, turbines, etc. Oh, the hard truth is that until you become “mad” concerning your life goals, you will remain in the crowd! Being “mad” means refusing to use your brain to consider all the obstacles challenging your goals! A man/woman that pursues his/her vision against all odds is called a mad man until that vision manifests; and he/she becomes a hero! A wise woman once shared this with me:I wish I had known what I know today many years ago when I wrote a novel at the age of 17, I would not have listened to the words of my uncle who was a literature guru then. I gave him the novel and asked for his review of my work, and he said to me ‘ ah ah, this will go nowhere; don’t bother writing again’ and that was the end. Those words would still have been lingering in my head if not for Christ. Whatever you want to do, do it; if it does not work out, you will find another way to make it work. It may also interest you to recall what they said about Jesus Christ Himself in (John 10 vs. 20) KJV: “And many of them said He hath a devil, and is mad; why hear ye him?” But today, is Jesus Christ, the one whom they called a “mad man”, not the GREATEST AUTHORITY in the universe? Friends, please take heed! of a truth our future depends on many things, but mostly on US [YOU]. We must not give the world the opportunity to define us or permit their shouts to limit us. Remember, Blind Bartimeaus and the woman with an issue of blood were shouted at, but they got their healing. We must never follow the crowd no matter their opinion! We can succeed if nobody else believes in us, but we will never succeed if we don’t believe in ourselves! Defy that medical report or reports of the economy! let us defy what people are saying and go after our goals with singular determination to win at last, just be “azuanuka”[a person that chooses to turn a deaf ear/their back to negativity]! Indeed, only “mad men/women” rule the world! Till we are asked: “Are you mad?” We will not be celebrated! let’s hold on and hold out! This is so beautiful and #true. Just what I needed to keep me going. This aritcie is much appreciated. This is something the whole world need to read,its sooo beautiful and encouraging,thanks for this thought,you made my day. This is so beautiful and encouraging,the whole word need to read this,thanks for this beautiful thought. What an inspiring thought. This is worth reading and for keeps. God bless Princess, spirit lifted! Just follow your dreams before its too late!